This brilliant gem of a song has been performed very rarely over the years. Two appearances it had in November 1999 (the first ones since June 1996 in Luxembourg), before Bob chose to sing it four times in 2000. My wife and I had set out on a ten-gig-holiday in September, and I was actually expecting Bob to pull out rare nuggets at Dublin’s Vicar Street club show. I was surprised that "RING THEM BELLS" remained one of the two rare nuggets of the evening (the other one being the only 2000 performance of "'TIL I FELL IN LOVE WITH YOU"). But almost five and a half years after his previous concert in the Republic of Ireland Bob did pull out "RING THEM BELLS" in Dublin’s fair city again (as he did in April 1995), singing the “chosen few who will judge the many when the game is through” verse twice again (as he did in April 1995). I had the strong impression that he probably still believes it. Bob has performed this beautiful song only twice in 2001, during his first tour of the year, in Fukuoka, Japan, and in Adelaide, Australia. 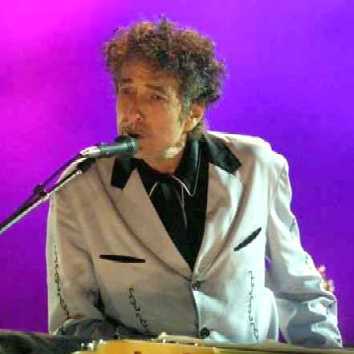 After that "RING THEM BELLS" did not appear for more than 19 months, before in Ames, Iowa, in October 2002, Bob chose to perform it as the second song of the show, on the piano. And there’s nowhere left to hide"
Three days later "RING THEM BELLS" appeared in Norfolk, in the same set as "I BELIEVE IN YOU". Four days after that, in Columbia, "RING THEM BELLS" shared another show with "I BELIEVE IN YOU", and this time also with "TRYIN' TO GET TO HEAVEN". During the second show in June 2004, in Uncasville, "RING THEM BELLS" was performed in the same set as "EVERY GRAIN OF SAND". During the European tour, which started later that month, "RING THEM BELLS" appeared in Newcastle, England. Later in the year, during the fall tour, "RING THEM BELLS" was performed in Oshkosh, Wisconsin, on November 2nd, the night of the US election. Bob also played "MASTERS OF WAR" that night, and "THIS WHEEL'S ON FIRE". The first performance of "RING THEM BELLS" in 2005 was in April, during the third Boston show, was performed in the same set as "A HARD RAIN'S A-GONNA FALL", "TRYIN' TO GET TO HEAVEN", "GOD KNOWS", and "I BELIEVE IN YOU". On the following Sunday, in Atlantic City, "RING THEM BELLS" appeared in an even finer setlist, together with "GOD KNOWS", "TRYIN' TO GET TO HEAVEN", "I BELIEVE IN YOU", "A HARD RAIN'S A-GONNA FALL", and "MISSISSIPPI". In the fall of 2005, Bob performed "RING THEM BELLS" only once, in Erfurt, Germany, as part of one of the finest sets of the tour, during his second of five Sunday concerts that fall, which also included "GOD KNOWS", "SEÑOR", and "A HARD RAIN'S A-GONNA FALL". My wife and I had the pleasure to stand at the rail during this fine performance of "RING THEM BELLS" which was performed for the third time only in 2005 (and as both earlier appearances in April also in the same set as "GOD KNOWS" and "A HARD RAIN'S A-GONNA FALL"). The fine Erfurt version was Bob Dylan's 31st ever "RING THEM BELLS" performed on stage, and it was definitely the high point of the entire show. It was only the 8th time Bob pulled this one out in Europe, and only the 2nd time he ever sang it in Germany (after Hannover in May 2000). The version in Erfurt was as good as it gets, with Bob Dylan singing these beautiful lyrics with authority and conviction. As mentioned above, my wife and I had the pleausure to see "RING THEM BELLS" already once before, more than five years earlier, during a small club performance in September 2000 at Dublin’s "Vicar Street" venue.